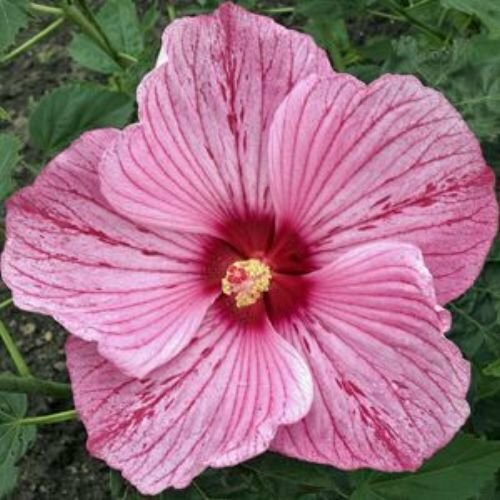 Hibiscus 'Fireball' is a dazzling 2001 introduction from the late Fleming brothers that makes a compact 4' tall plant with fine-textured green foliage...often with a purple blush. From midsummer through early fall, the clumps are topped with brilliant, large burgundy-red flowers...a true showstopper and hummingbird favorite. 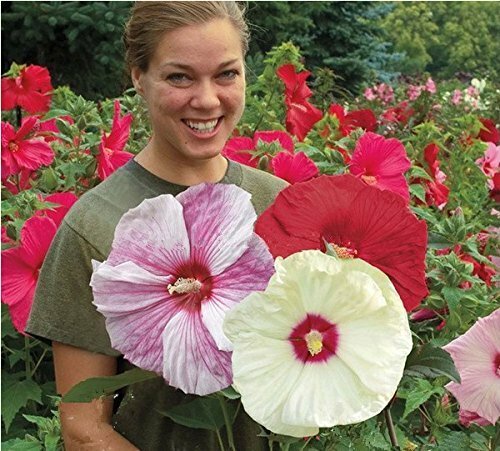 Hibiscus 'Summer Storm' is one of the next generation of colored-leaf hibiscus hybrids from the breeders at Walters Gardens. Building on the work of the late Fleming Brothers, Hibiscus 'Summer Storm' produces 7' tall stalks, clothed with deeply-lobed, dark purple leaves and is adorned from July until September with both axillary and terminally produced, 10" wide, medium pink flowers, highlighted with a dark red center and bloodshot-eye-like red veins...a hummingbird favorite. Moist soils are ideal, but these are amazingly drought-tolerant in the short term. 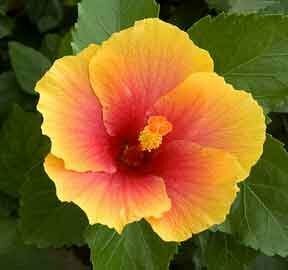 EXOTIC HAWAIIAN SUNSET HIBISCUS WELL ROOTED LIVE STARTER PLANT 5" TO 7"
The tropical hibiscus (Hibiscus rosa-sinensis) features evergreen foliage and large, showy flowers that bloom from summer through fall. Although the plant is hardy in U.S. Department of Agriculture plant hardiness zones 10 through 11, it's usually grown as a potted plant since it can't tolerate temperatures below 30 degrees Fahrenheit. 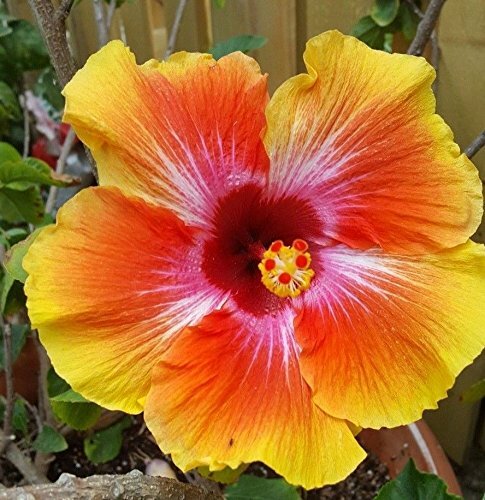 Proper care and maintenance keeps a tropical hibiscus healthy and encourages abundant blooms in season. This amazing introduction from Texan Greg Grant is topped all summer with huge 9" flowers which emerge light pink and age to white, except for the wild red flecking throughout the petals...attractive to hummingbirds. Hibiscus 'Peppermint Flare' is a floral sport from Sam McFadden's University of Florida release, the nearly sterile hybrid Hibiscus 'Flare'. It is very tolerant of alkaline soils...as long as they aren't too dry. Huge saucer-shaped flowers appear in mid summer and continue until frost. This selection has big blooms of rose-pink with a red eye. Plants prefer evenly moist soil and sunny conditions. Stems die back completely to the ground in winter, but new growth is slow to appear in spring, so be patient! Old stems should be pruned to the ground in spring. 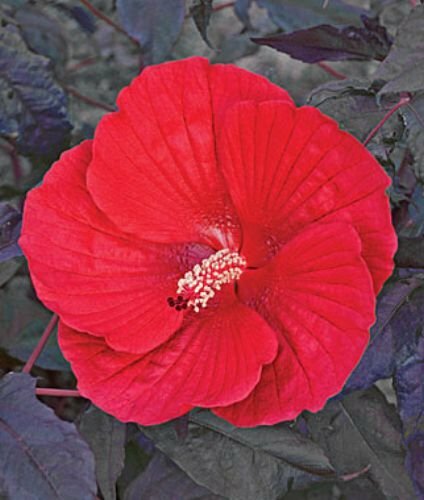 Hibiscus 'Midnight Marvel' is the latest advance in the changing world of hardy native hibiscus. Combine this amazing foliage with 8" wide, fire engine red flowers from June through September and you've got what I affectionately term a "wow" plant. Hibiscus 'Midnight Marvel' makes a 5'+ tall specimen that prefers moist soils but adapts well to all but the driest of garden conditions. Hibiscus 'Plum Crazy' is a 1999 Fleming Brothers' hybrid mallow obviously named after the brothers themselves...guess you had to know them. Hibiscus 'Plum Crazy' is prized for the purple/green, three-lobed leaves that adorn the compact, 4' tall clumps. 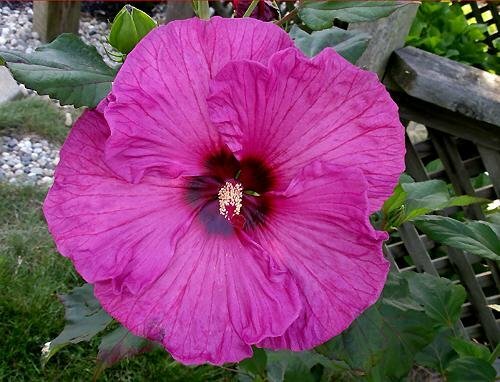 From midsummer until early fall, Hibiscus 'Plum Crazy' is topped with cone-shaped, 7" wide, plum-colored flowers, each with darker purple venation and a very dark eye highlighting the center...very, very cool, especially when fanned by hummingbird wings! 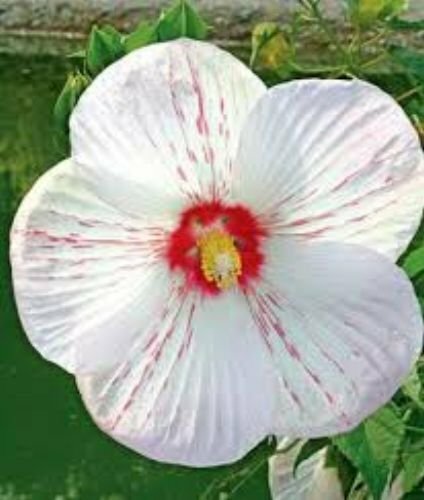 Looking for more Hardy Hibiscus similar ideas? Try to explore these searches: Dog Pets Cap, Hookswitch Phone, and Venom Adult Boot Covers. 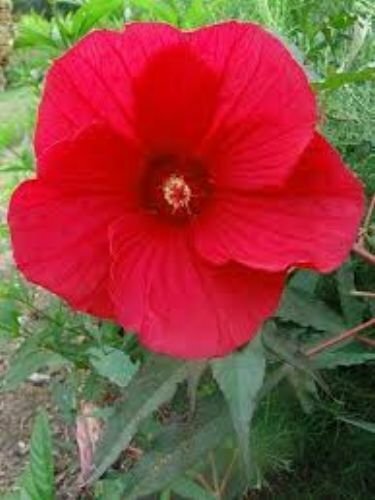 Look at latest related video about Hardy Hibiscus. Shopwizion.com is the smartest way for online shopping: compare prices of leading online shops for best deals around the web. 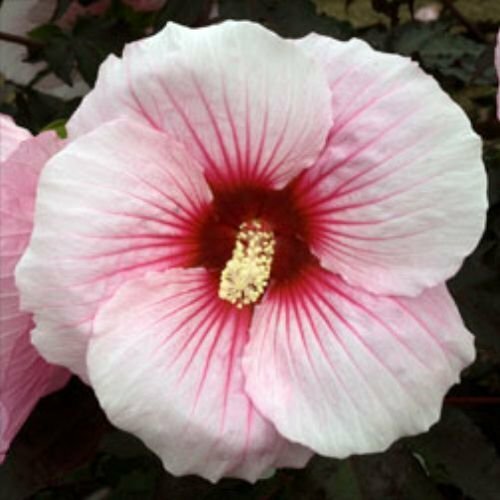 Don't miss TOP Hardy Hibiscus deals, updated daily.